Low back pain with leg pain, numbness, and tingling is known as sciatica. There are numerous causes of these symptoms, including disc problems, “trigger points” in muscles, or irritated nerves resulting from stiff and restricted joints and muscles. 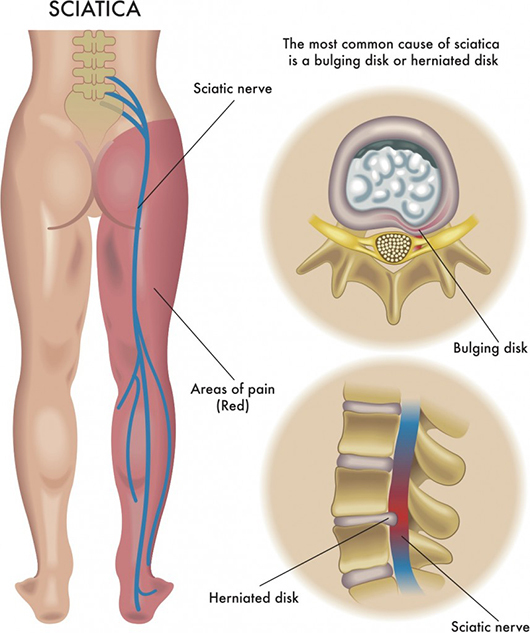 Sciatica is pain results when there is a problem in the low back or along the sciatic nerve. The nerves of the low back join to form the sciatic nerve, which travels down the leg into the foot. 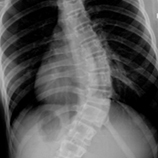 Pressure causes symptoms to travel away from the spine, along the course of the nerve. Sciatica responds well to chiropractic care. A thorough examination with orthopedic and neurological testing and X-rays and/or an MRI will help determine an exact diagnosis. Manipulation (adjustments) of the spinal and extremity joints is effective in restoring normal function to the joints as well as to the surrounding muscles and nerves. This usually leads to a reduction in sciatic pain and a more rapid recovery. Chiropractic treatment may also include heat or ice, trigger point therapy, therapeutic exercises, electrical muscle stimulation, ultrasound, and/or home care instructions for the full benefits of the patient’s sciatic nerve pain treatment. Contact our chiropractic office online to learn more or schedule a consultation. Reduce pain from sciatica with chiropractic treatment.